Location: East Village is conveniently located next to public transportation and a short walk from academic buildings. East Village will house students on floors 2-16. The building includes classroom space in the basement and first floor, along with an event space on the 17th Floor. For 2017-2018 East Village will be Honors Students Only. 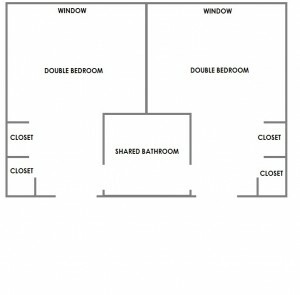 Furniture provided: Bed, desk and chair, dresser, closet space for each resident. In some cases there is a wardrobe in place of an inset closet. Bedrooms are tiled in semi-private style. 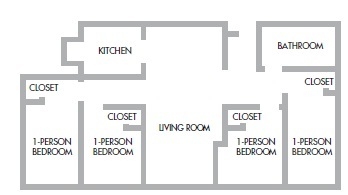 Bedrooms are carpeted in apartment style. 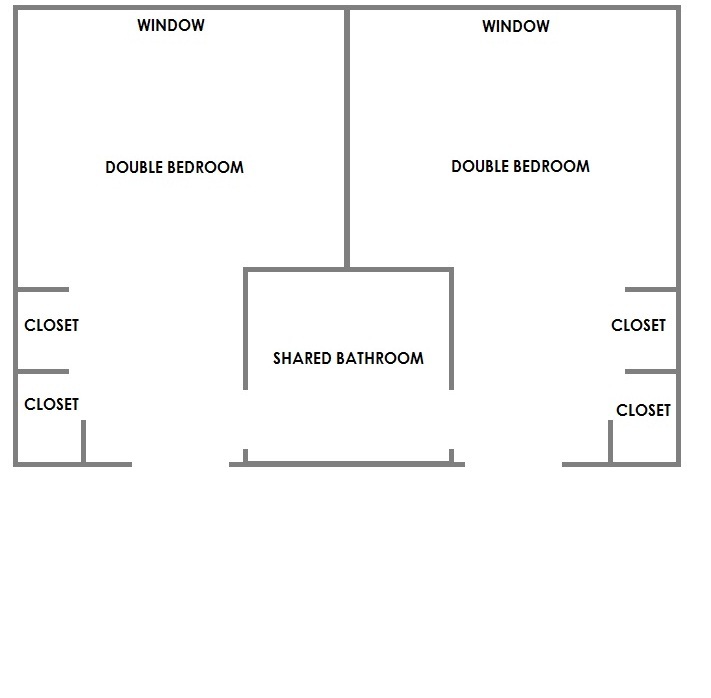 The following images are here to represent examples of the room types in the above mentioned building. 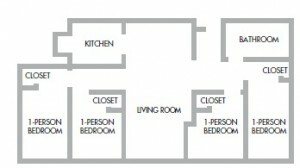 They are in no way the only room types present in the building, and are not architectural drawings.